Post subject: New Falcon Coming! The Falcon badge may have a future after all – but on an uber-luxury Bentley SUV rather than the homegrown sedan. The magazine says the ultra-luxury soft-roader, which could become the most expensive SUV on the market, has been given the go-ahead. In 2011, the VW-owned brand's chairman and CEO Wolfgang Durheimer told US site Motor Trend the ultra-luxury SUV would set a new benchmark for pricing. “In terms of price, it would be positioned above everybody who is there already,” Durheimer said. As Drive has reported, the car should make it to production by 2015, meaning the local launch could come at the same time Ford pulls the plug on the local Ford Falcon. Ford has guaranteed local production only until 2016, and many are tipping the Falcon will disappear then. The Automobile report claims the polarising Bentley concept will be “completely redesigned” for the production model by newly appointed director of design Luc Donckerwolke. He's the man who was behind the 2002 Lamborghini Murcielago and 2004 Lamborghini Gallardo, as well as the iconic and quirky Audi A2 of the early 2000s. The Falcon SUV is expected to be built on Volkswagen Group's new modular underpinnings used for future versions of the Audi Q7, Porsche Cayenne and VW Touareg, as well as a possible new Audi luxury SUV known as the Q8. Automobile says the Q8 will be a “coupe-like crossover” that is expected to sell 25,000 units per year. Post subject: Re: New Falcon Coming! Huh. Nothing like dragging tonnes of excess metal around so you can keep your womb goblins happy in the back as you drive them to soccer practice. That is one ugly car, it has a 300C grill and out of place headlights. But hey, Ford, make sure you don't you know, figure out what the market wants before you research it, just go ahead and release it and hope for the best. Seems to be working out a lot lately. YUK! Kill it, kill it before it breeds! Ford - don't you dare! 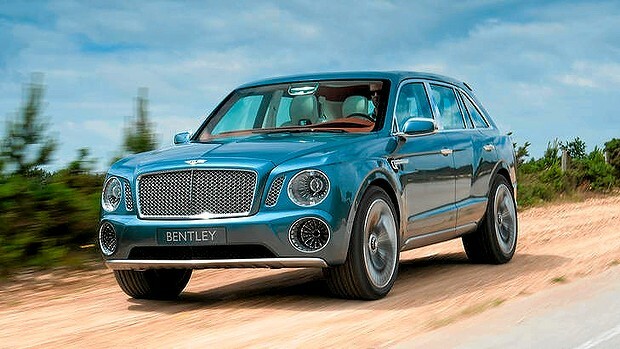 It doesnt say Ford has anything to do with it but the fact that Bentley will be calling their new heap of s**t a Falcon. So something being more expensive 'sets the benchmark'? It will sell for what people are willing to pay for it. how can they name an suv falcon? doesn't even make sense. The "Falcon" name would most likely be trademarked in Aus,NZ,USA,South Africa and south America so this SUV will be called something different in these regions. Waggin was trying to wind us up with the misleading title and from the look of the reply's people went TL;DR and started replying based on the pic and the title. I read the whole thing but skimmed parts of it and thought it was going to be the Bentley rebadged as a Ford Falcon. Pays to read the fine (or rather not so fine) print eh? Not misleading, there is (news of) a *NEW* falcon coming Glad some people can read though. Oh I read it mate. Don't you worry. I should have been more clear in my comment. So I'll explain it in full. Ford, don't you dare, don't you dare let the falcon name be used for this hidious creation!